I Salute you sir for your excellent roll at Jamiatul mudarresin. I hope your organization play it's leading roll to stablish complete Islami education in our country with each criteria. Insha'allah, near future Alem Society will have lead this country. May Allah grant your expectation and We also want that. Thanks to my favorite Editor, Mr. A M M Baha Uddin. I expect your success every aria your life. Thanks Sir, I like you & Your Organization. I also think Jamiatul Mudarresin is the leading platform of Bangladesh which always play it's active roll for Islami education. 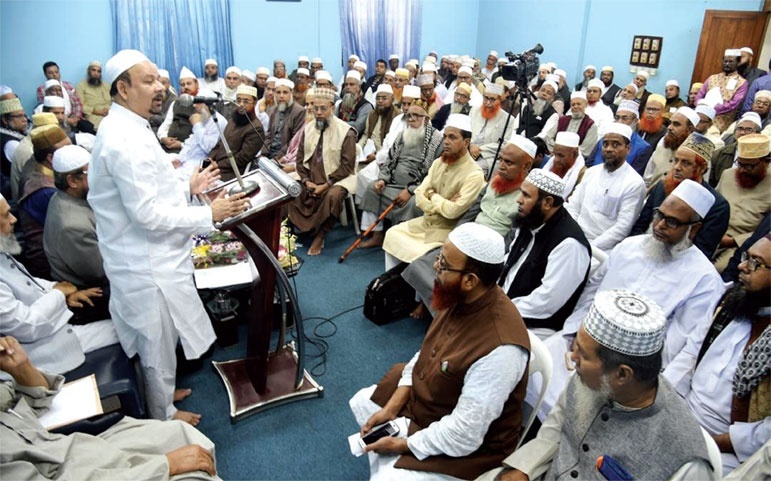 Although, Bangladesh Jamiatul Mudarresin is a Unpolitical social organization, But it Works for Islam and Madrasah Education in Bangladesh.